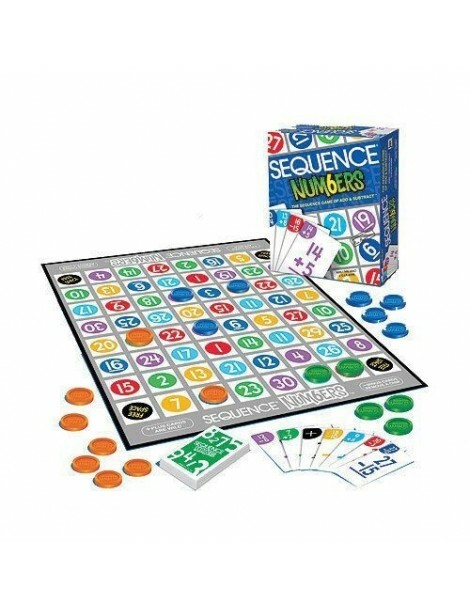 SEQUENCE + NUMBERS = FUN! The cards have the equations....the gameboard has the answers. Each card has an addition or subtraction equation. 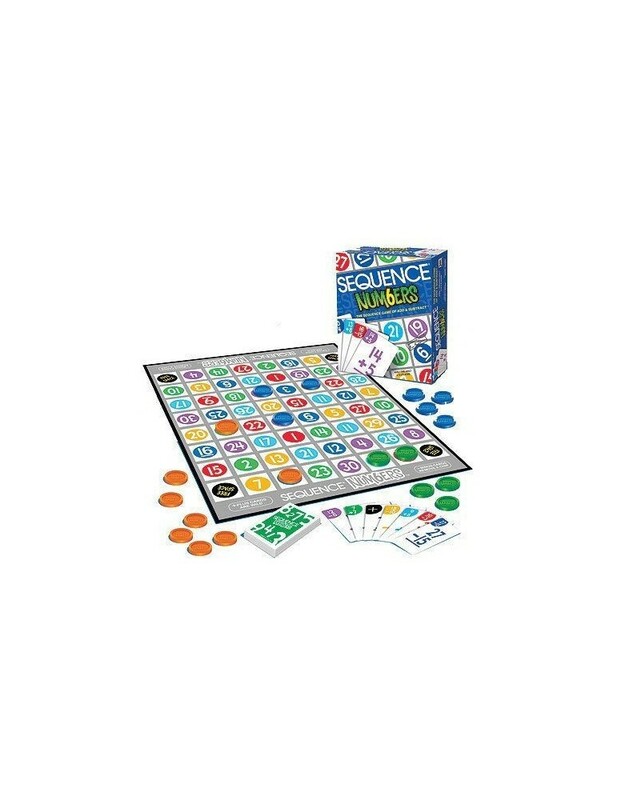 Match a card to its correct answer on the board, then place your chip there. Groups of numbers are color-coded to help with number recognition. When you have 5 of your chips in a row, you've got a SEQUENCE!